Can you believe it? This is our FIFTH year of doing my Fave Five end-of-year wrap up! That's twice as many fives! And it's twenty FIFTEEN! Thrice as five-ulous. As the great Booker T would say; "Oh my goodness". And remember, just like Booker's thoughts, these are in no particular order. If you have any faith in a higher power, I hope you're praying every day for the safe return to the ring of Seth Rollins. His injury couldn't have come at a worse time. He was the main man on the main roster, delivering great matches every time. His departure left us with the endlessly mundane and repetitive Sheamus/Reigns feud. That alone should be a sharp reminder of how much Rollins raised the bar in the company. Without him there is nothing on the Heavy Weight Title scene. On the tag-team scene however, there is pure gold. I was very tempted to give individual places on this Fave Five to Kofi, Xavier, and Big E each but that would be greedy. Through the sheer power of positivity they have made television magic all year. From rap references, to #BOOTY, to unicorns they have literally been the only part of RAW that you needed to see every week. They made a trombone one of the best gimmicks in wrestling, are you kidding me? Never take the belts off them, never. If you don't love Bayley then you are what is wrong with the wrestling business. Bayley is the best. Bayley is life. Bayley is wrestling. Her work with Sasha Banks was above and beyond the best matches WWE had in 2015. The first match made Seth Rollins cry at ringside. It happened. Google it. She's over with the crowd at a level I don't think any female wrestler has ever been. Her match with Nia Jaxx was compelling and a huge change of pace too so it doesn't look like she's going to disappoint in 2016 either. 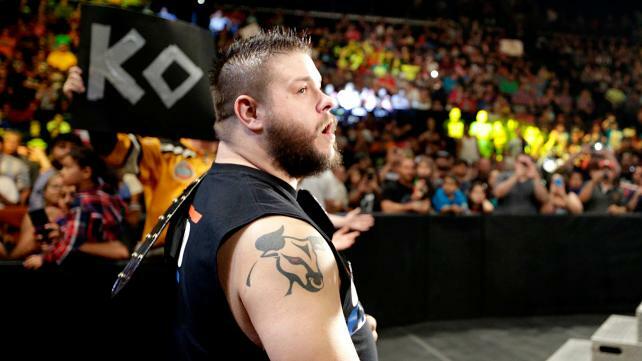 Kevin Owens pinned John Cena, clean, in the middle of the ring on his debut match on the main roster. There was a reason the commentary team made such a big deal about this because it is a big deal. 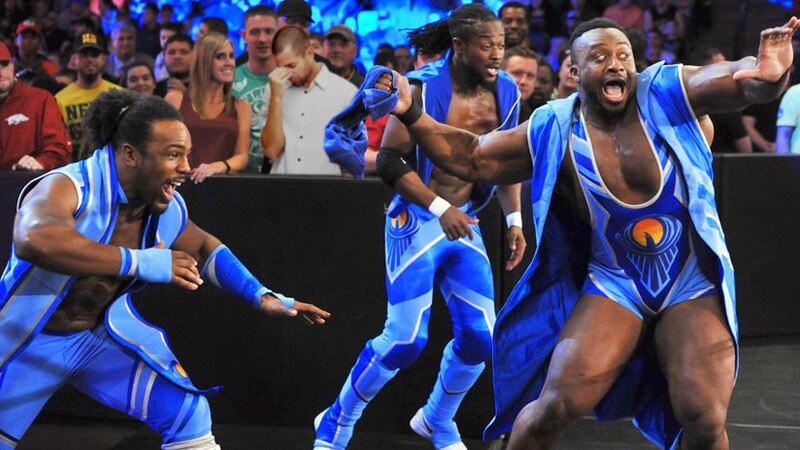 The WWE have faith in Owens and they're right to. He's one of the best heels they have right now, both on the mic and in the ring. I was worried when he lost in his final feud match with Cena that he would be relegated to mid-card obscurity but a nice Intercontinental title reign was just around the corner and in my eyes the only way is up from here. I'm pretty sure Vacant is from Dublin, Ireland because both injuries that took out Daniel Bryan and Seth Rollins occurred during house shows in the city. I'm only half joking by including Vacant in my top 5. Vacant has had a bigger impact on the WWE this year than any other wrestler. Vacant literally changes the course of every storyline and has made more appearance in recent memory than anyone would have guessed. Hopefully we don't see Vacant again in 2016 but I worry we haven't seen the last of this most evil of heels. Jordan & Gable: These boys are lighting up NXT with their technical abiltity and gosh darn goofy enthusiasm. When fans chant your name to the tune of Kurt Angle's theme music, that's not a bad comparison. Sasha Banks: She would be on the above list if not for her terrible utilisation on RAW. Sometimes getting called up to the main roster is a curse, not a gift. Finn Balor: Finn changed the game this year. His entrances are majestic but lets not forget his great in-ring ability too. If he can get his mic-game to match it? There'll be no stopping him. Asuka: I've never been more impressed, or more scared, with a womens wrestler as I have with Asuka since her debut. Now all I need is to see her in a feud where she could lose, and somehow make me believe she could actually lose!